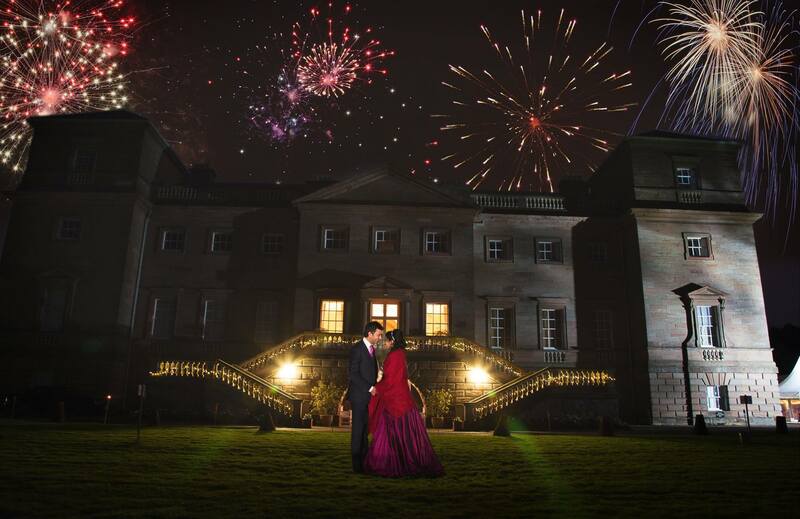 After another couple of hectic months, we continue to provide our fantastic wedding firework display packages for our brides and grooms around various parts of the country, we thought it would be nice to recap on the day we fired at Ruth and Tom’s wedding reception which took place towards the end of July this year. Over a number of telephone conversations earlier in the spring, Wendy – the mother of the bride, decided to go ahead with one of our popular packages which included the glowing red heart and initials set-piece, along with a push button start as a complete surprise for the happy couple. The reception was to take place on private land near Stoke-on-Trent and when our wedding fireworks display manager Steve returned from the initial site visit all excited, we soon realised we had a great venue to work at with plenty of safety distance and the opportunity to really show off and serve the happy couple proud with a wide range of high calibre pyro. Straight away Steve assigned himself and his crew to be available for Ruth and Tom’s big day! Setting off in glorious sunshine the team looked forward in anticipation on what was going to be another wonderful evening of entertainment for everyone. Unfortunately as soon as they arrived on site the rain started and continued falling even heavier throughout the rest of the set-up. 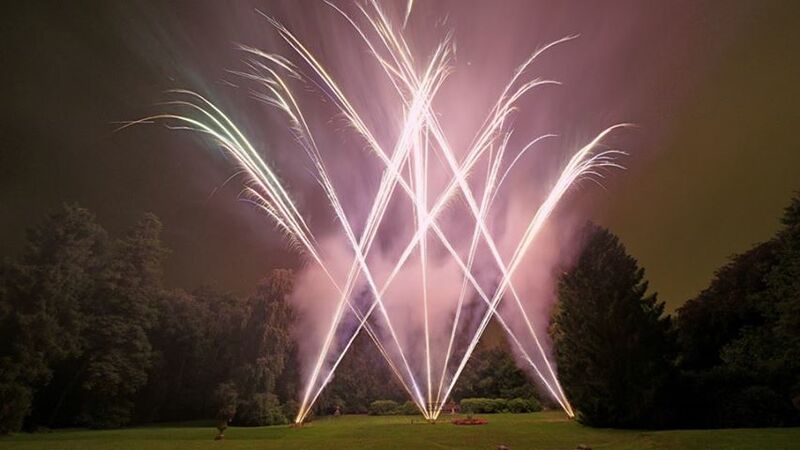 This made the wedding fireworks difficult to rig up as it was being fired from a steep grassed bank making it extremely slippy and all firework sequences and lance work needed to be thoroughly water proofed also to have any chance of it performing precisely. 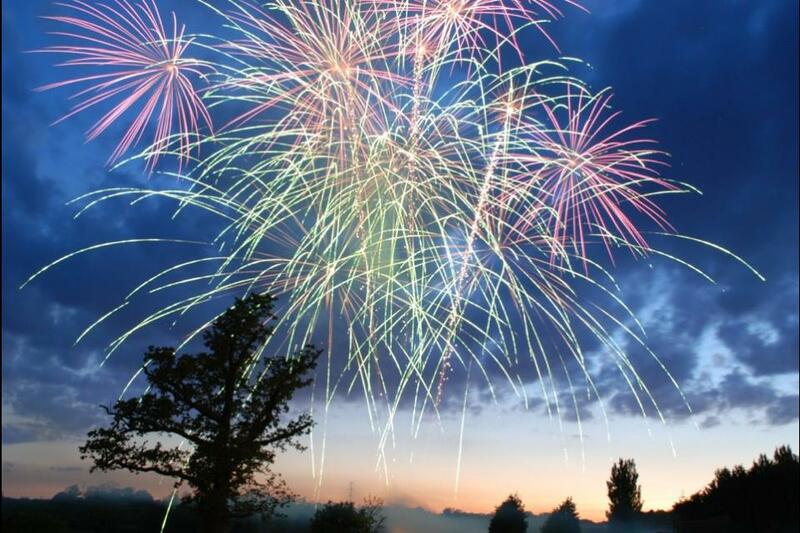 With the display set up and ready to go, it was actually Wendy in the end that pressed the first button to start the fireworks which included large calibre barrages, roman candles and a wonderful finale of sky filling mortar shells of various sizes and stunning effects. 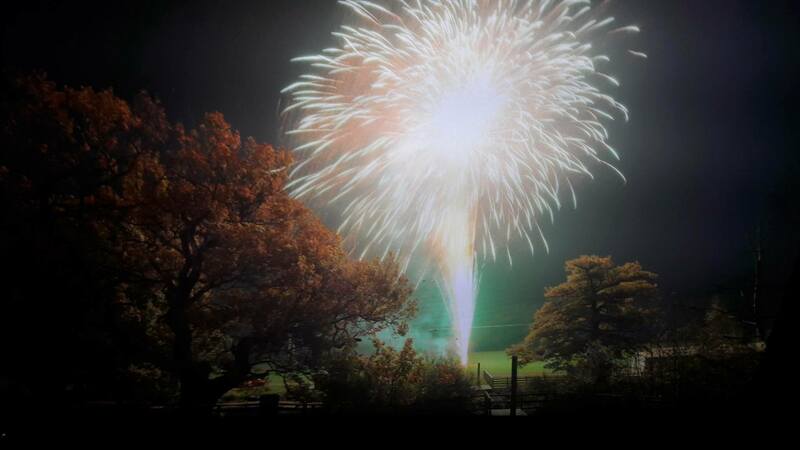 Despite the torrential downpour and conditions the set-piece and the rest of the wedding fireworks fired one hundred per cent and the newlyweds (the bride in her wellington boots) soon rushed over to the crew to thank them for a wonderful display. The father of the bride was also very impressed and had made a special effort to trudge across the muddy field and personally invite the Solihull Fireworks team over to the marquee for drinks later. Once the show was de-rigged and cleared away Steve, Paul and Matt decided to take up the offer and visit the marquee where they were also treated to wedding cake and Wendy enthusing on how wonderful the fireworks were and how hard the lads had worked despite the very wet conditions. After another successful evening, it was time to get home safely into the warm and dry, change out of their soaking wet clothes and collapse exhausted into bed – which was going to plan until Steve hit a huge puddle in the road and broke down in the middle of nowhere. Happy Days! This entry was posted in Uncategorized on August 30, 2013 by Rob Cotterell.